IT is good to be Khadim Hussain Rizvi. His party, the Tehreek-e-Labbaik Pakistan has been going from strength to strength since it catapulted itself onto the national imagination in 2016, after leading a successful sit-in in Islamabad’s D Chowk in the wake of Mumtaz Qadri’s execution. As disturbing as it was for many of us that Qadri, a convicted murderer, would garner such support, the dharna itself provided many opportunities for amusement as we chuckled at the spectacle of participants throwing their slippers at helicopters and clucked our tongues at the colourful language that reverberated from the loudspeakers. Granted, at that point it was less a party and more a loose coalition of Barelvi groups with Rizvi as its ‘patron-in-chief’, but that was clearly just a stage in its evolution. A little over a year later, no one was chuckling anymore as the TLP — now fully consolidated under Rizvi’s command — marched onto Islamabad in what culminated in the Faizabad dharna. This saw some of the highest functionaries of the state bend over backwards to appease the highly motivated followers, after attempts to remove them by force failed rather miserably. 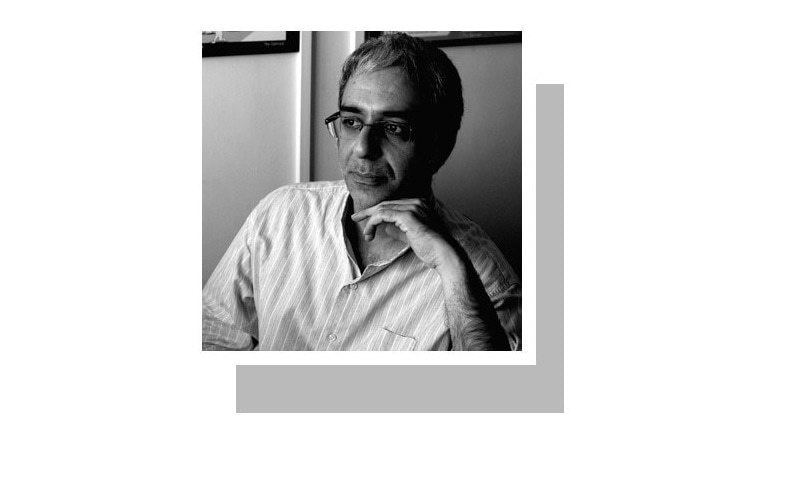 Confusion and conspiracy ruled the day as a confident Rizvi marched off invigorated by his success, and his followers — some of them richer by a thousand rupees — followed suit. The TLP vote cannot be written off as a mere spoiler. Victory tends to settle a lot of questions in people’s minds, and building on this momentum the TLP entered the electoral fray with gusto, garnering over two million votes countrywide and securing two provincial assembly seats in Sindh. In many constituencies, the TLP vote was in such numbers that it is simply not possible to write it off as a mere spoiler — the numbers point towards this being a powerful and well-organised force which owes its rise to more factors than are commonly accepted. Those factors have been explored at length by various writers, and Ahmed Yusuf’s piece published in Dawn is required reading on this subject, especially for those who still believe that the TLP is a puppet propped up to act as a destabilising force aimed at the previous government. Certainly, there is a very real possibility it may have been used as such but to cling to the belief that this party was somehow created out of thin air and is not in fact self-guided and self-sustaining smacks of denial. 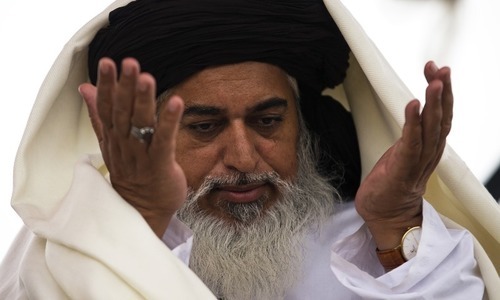 But the TLP’s weakness is that it is fundamentally a single-issue party, and lacking a concrete political programme, it must periodically find a religious issue to rally its base around. In the aftermath of the general elections, the TLP along with many other parties alleged rigging and organised protests. However, these protests were nowhere near the scale of the Faizabad dharna and it seemed apparent that while the TLP’s activists were willing to take an uncompromising stance on what they deem to be matters of faith, they were less motivated to struggle for purely political causes. And then Geert Wilders comes along; a known Islamophobe and extreme-right-wing rabble rouser, the Dutch politician announced that he would hold a ‘cartoon contest’ that was a thinly veiled attempt to attack and provoke one of Wilders’ favourite targets — Muslims — and also to rally his right-wing base. It was, as political scientist Stijn van Kessel said, “a way for him to generate media attention”. Meanwhile, the TLP seized on this opportunity to once again show its strength. 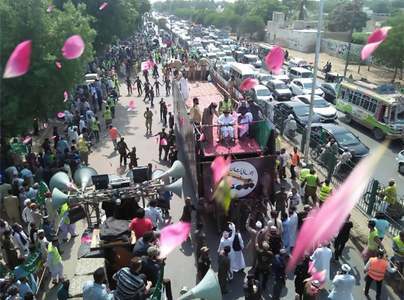 On cue, thousands of TLP supporters began making their way to Islamabad to demand that Pakistan sever diplomatic ties with the Netherlands or face a repeat of the Faizabad dharna. This would have proven to be the first significant test for the newly sworn-in PTI government, which had also been pointedly raising the issue of blasphemous cartoons, perhaps in an effort to head the TLP off at the pass. Had the contest not been called off, the dharna would also have tested conspiracy theorists to the limits. After all, if the TLP was engineered to help bring down the PML-N government (and thus ease the PTI’s path to power) how would one explain this latest turn of events? The cancellation of the contest, by Wilders himself, leaves us with a victory that many are eager to take credit for. The PTI government is claiming it was called off due to their diplomatic intervention, but it is unlikely that Wilders would have succumbed to pressure from the Dutch government (had such pressure been applied) given that he is a political opponent of that very government and would have loved a chance to paint himself as a persecuted crusader for free speech. Now, he can at best portray himself as a victim of potential violence but given that he has already been under round-the clock-protection for years due to the threats to his life, that’s hardly something new. So this round, like many before it, goes to Khadim Rizvi. Mobilising the Barelvi vote: is TLP more than a one-hit wonder? WHAT IS BEHIND THE SUDDEN RISE OF TLP? There was more of a threat from within Holland than overseas. Behind the scenes, the Dutch government took the issue seriously when PM compared it with holocaust deniers analogy and the pain the issue evokes. The present government of Pakistan has a better diplomatic approach than the previous government who sat gungho during such issues in the past as if the issue will simply go away itself. There is no difference between Geert Wilders and Khadim Hussain Rizvi. Both are same of species. Political parties are scared of Khadim Hussain Rizvi But not the people. People shown them in the elections. Political parties should stop scaring and take the right action against TLP. They are not going to loose any votes. Aptly described, they will be a force to reckon with, in the coming years, very rightly said this round too goes to him. Khadim Hussain Rizvi is a passionate committed orator with charisma. He will indeed be a force to be reckoned with. Nothing fantastic when fanatics take the country to ransom using religion and its sentiments. It all boils down to how an archaic mindset, is still not letting us go beyond medieval times. How can you give credit to Rizwi . I think it was threat of oic which can be a significant strength if well organised . Being a single-issue party is hardly a weakness since most other parties are issue-less parties, or at least they can't publicly admit to their real issues which is vested interest in various garbs. "In many constituencies, the TLP vote was in such numbers that it is simply not possible to write it off as a mere spoiler..." _ Yes, but can they provided investment and jobs? They only want to seize what others have created. OIC is till today an incompetent organisation.